My new fabric combination of lately is chambray + linen. 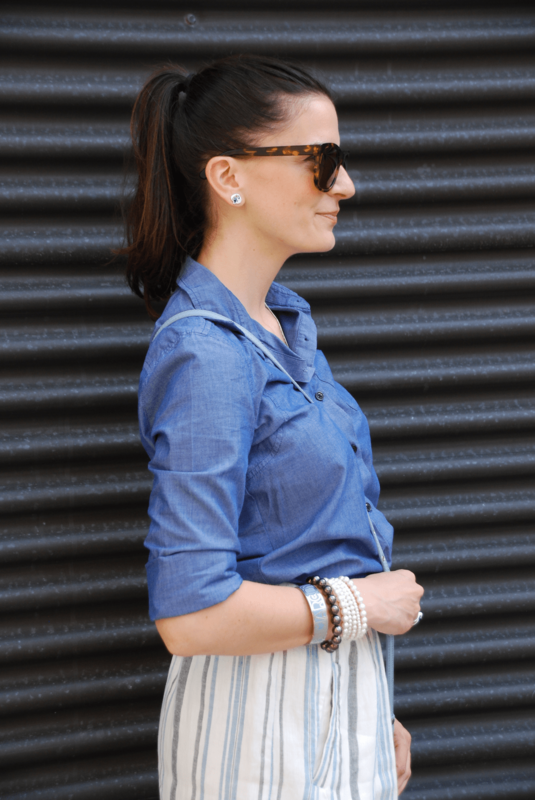 I’m definitely a repeat offender when it comes to my chambray shirts, but I just love how you can wear them with anything. I got this skirt last summer and had originally only worn it with a tank top. I wanted to switch up the look, so of course I wore it with one of my chambray shirts. This is the perfect summer daytime look and I only had to look within my closet to put it altogether!